RTS is selling SLW and buying ARMH in its place tomorrow at the open. DJI, SPX, NAZ, TRN set new multi-year highs today. RUT should do the same soon, very likely this week. Market is in a good shape and rally should continue. 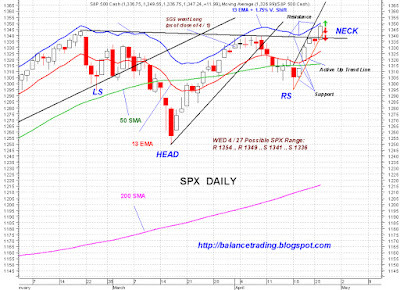 SPX closed above the neck line of an inverse head and shoulder price pattern with relatively good volume. The objective price for that pattern is around SPX 1430 which was also a peak in May 2008 just before the first down leg of 2008 market crash. 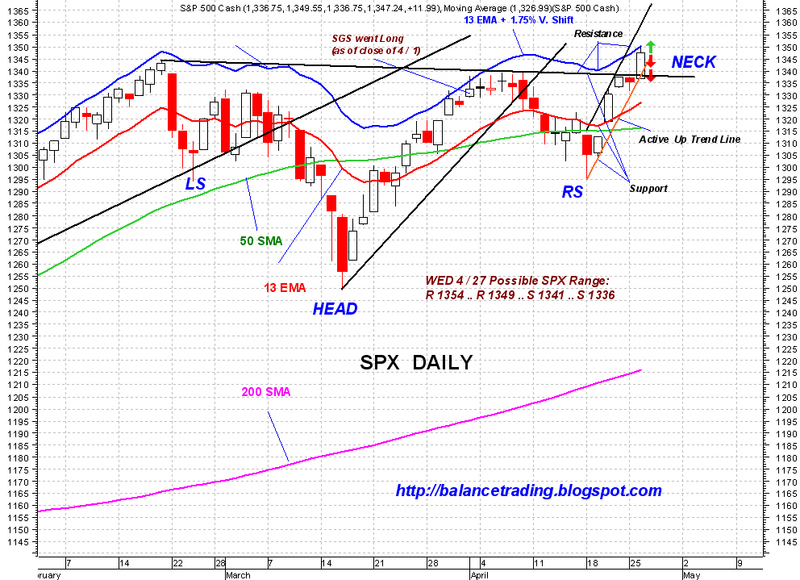 This means the move from current levels to SPX 1430 would likely be a swift one. Chances are also very good for SPX to sell off intraday to back test the new neckline around SPX 1337 sometime this week. I would be a buyer of that dip.